Yesterday was the first time that I had ever gone to Wollaston Beach. I participated in the sand raking on the beach. 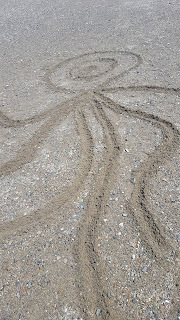 Sand raking is cool because you are able to make art in the sand, and you get to work with different materials that some people have never experienced. 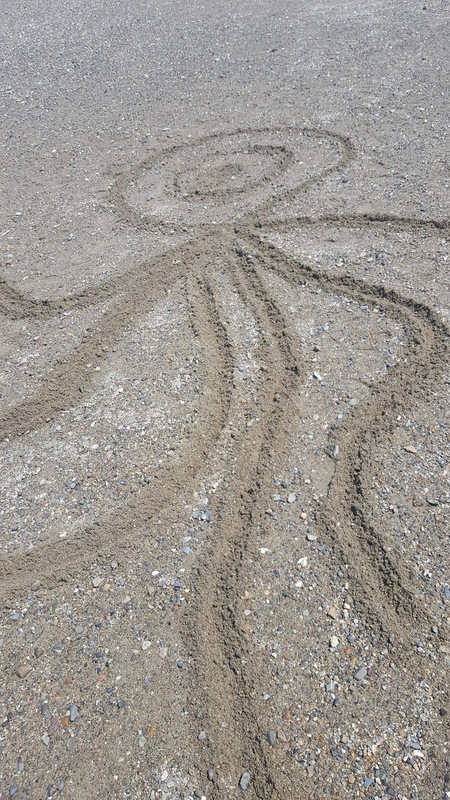 To get these kids at the beach involved, I started to draw an octopus, but I only added one eye so that it looked kind of like a squid; so I called it an octoquid. Once. a family saw me finishing off my creation and asked what it was called and if they could do one as well. A little girl wrote her name in the sand and made a little stick figure of herself. She was really pleased by it. 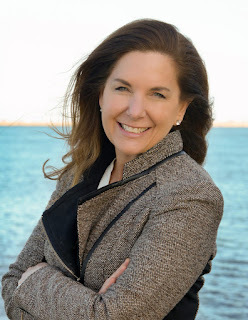 As the day went on "Mary Read" told her ghost stories about what had gone on on the Boston Harbor Islands. People passing by heard and stopped to listen to Mary's wonderful ghost stories. That was a great way to end the day at the Wollaston beach event.